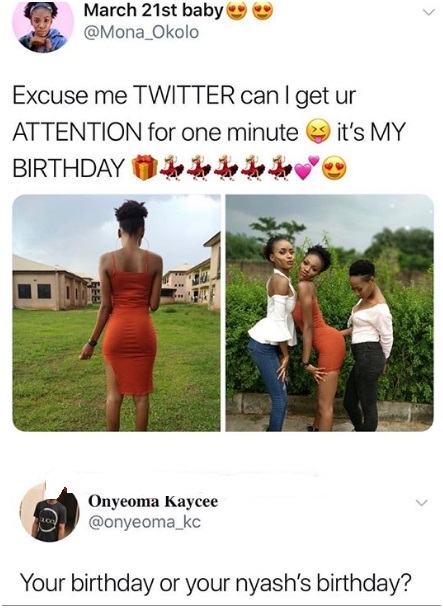 Tuesday, March 26, 2019- This petite lass turned a year older recently and she took to social media to let the whole world know about it. She accompanied the tweet with two photos of herself flaunting her derriere in abid to catch the attention of thirst guys and it worked. Check out the post and the savage response she got.